Someone must have finally explained to Joe Manganiello that the Scream Queens he signed up for is not a delightful reality competition show, but rather something from Ryan Murphy. As a result, it seems he has screamed and fled the scene, much like everyone on the show will soon be expected to do, only for pretend. 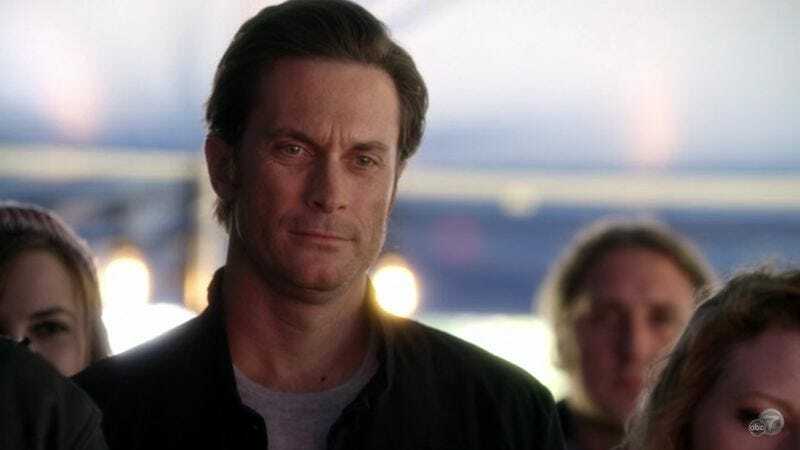 But Murphy wasted no time in calling up yet more cannon fodder, as Deadline reports Nashville actor Oliver Hudson has been cast to take over the role from Manganiello. The official reason given for the True Blood actor leaving the project is that the show would not be able to accommodate Manganiello’s commitments in promoting Magic Mike XXL internationally this summer. Of course, it seems way more likely that Murphy described the plot, a series of grisly occurrences that slowly spin out of control and into insanity, to him. At which point Manganiello, mistaking the plot summary for an explanation of what happened with all of Murphy’s previous series, politely excused himself. And while Hudson has stepped into the Scream Queens role—supposedly playing a “hot dad”—it reportedly won’t affect his status on ABC’s Nashville, which is a show that Ryan Murphy probably believes invented country music and drama.